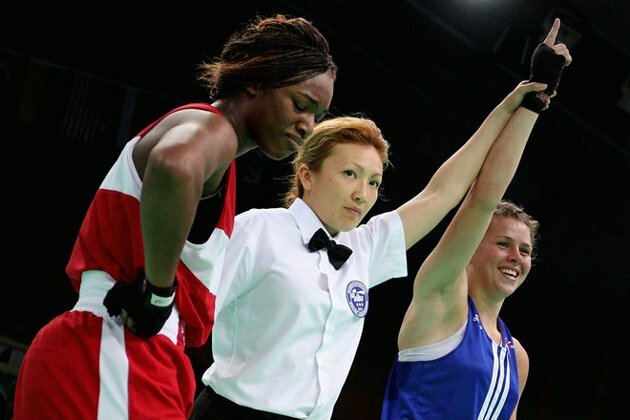 AIBA Women’s World Boxing Championships 5/16/12! 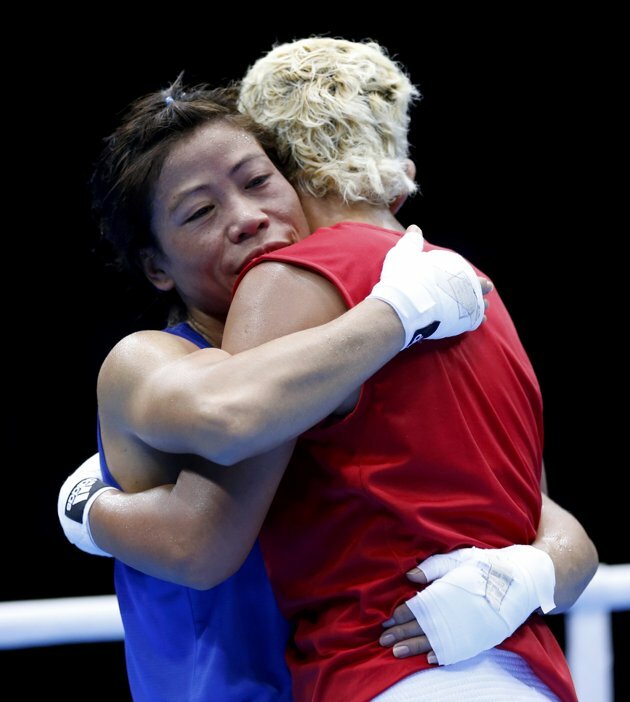 AIBA Women’s World Boxing Championships 5/16/12! – Updated (3)! Quarterfinals for the Lightweight, Bantamweight, Featherweight, Light Welterweight, Welterweight and Heavyweight divisions! 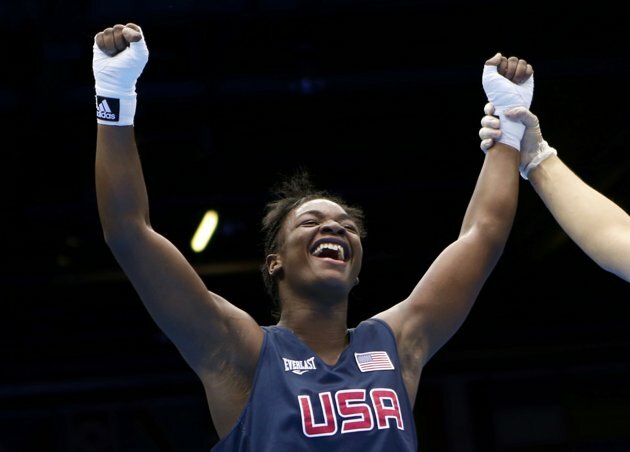 All six of the remaining USA Boxing team members are scheduled to compete on 5/16/12. 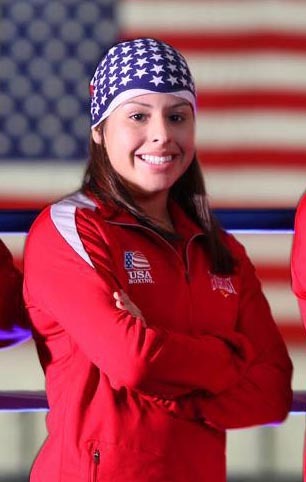 While Marlen Esparza is the first American female boxer to have one a place at the Olympics, she is still avid to medal at the 2012 AIBA Women’s World Boxing Championships! 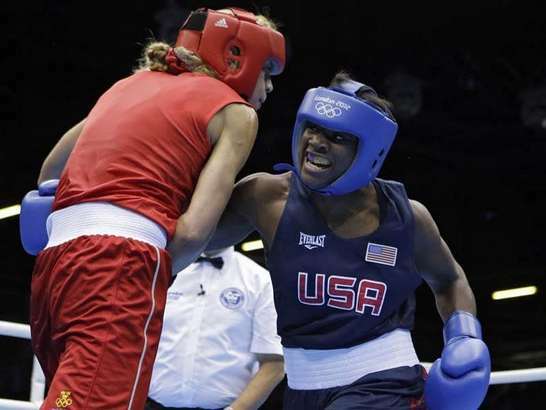 In Results from today’s bouts it seems that the USA Boxing team has won four bouts out of five so far with one bout still to go. Christina Cruz (54kg) fought a tough close bout against Sopida Saturmrum of Thailand, but managed to take the bout by the score of 29:19. Cruz managed to tie the first round 3:3, but actually lost the second and third round trailing by a total of two points before she put everything she had into the fourth round to take it by the score of 6:3. She advances to the semi-finals against Italy’s Terry Gordini on May 18th, giving her a well-need rest day. 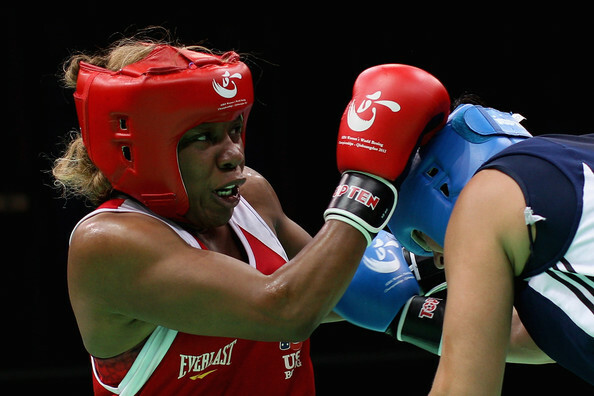 Raquel Miller (69kg) was equally victorious in her bout over Turkish boxer Bilgehan Karabulut by the score of 11:5. Raquel led the low scoring bout throughout all four rounds. 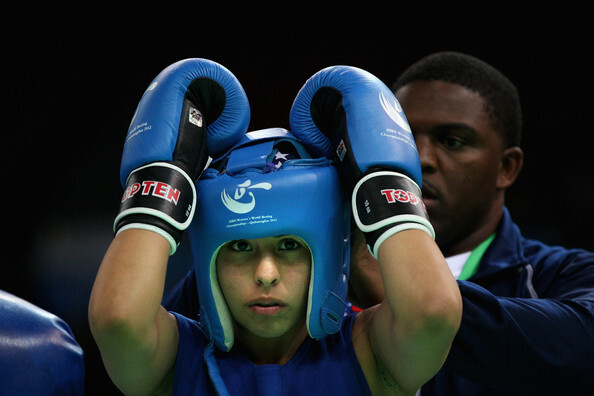 Her next bout in the semifinals of her division will be against Irina Poteyeva of Russia on May 18th. 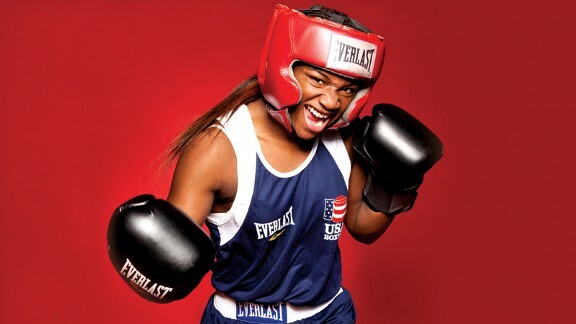 In the third afternoon fight for the American team, Franchon Crews had a big win outscoring her opponent for Kasakhstan, Dariga Shakimova by the score of 30:12. Franchon came out blasting from the beginning and finished her fight with a devastating 10:2 round. Franchon will fight Hungary’s Timea Nagy in the semifinals. Her fight is also scheduled for May 18th. 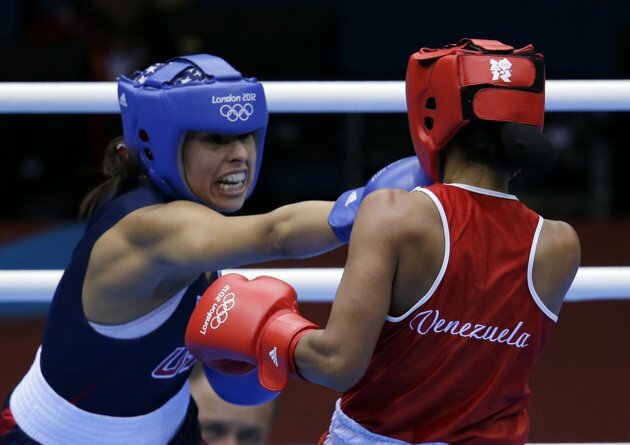 Yesterday, Marlen Esparza’s (51kg) became the first American female boxer in history to win a spot in the Olympic Games. 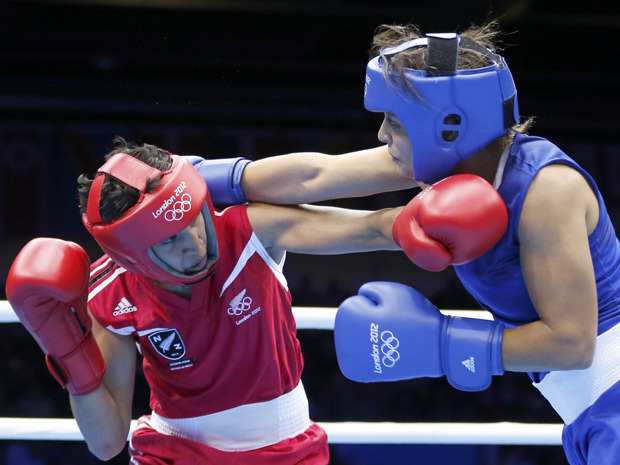 Unfortunately, Esparza has lost her quarterfinal bout against China’s Cancan Ren by the score of 8:16. Ren was able to outscore Esparza throughout the bout, and although she came back with a 3:3 tie in the third round, Esparza was not able to take the win in the fourth. Still, this loss does not take away her victory yesterday or her place in history as America’s first female boxing Olympian! 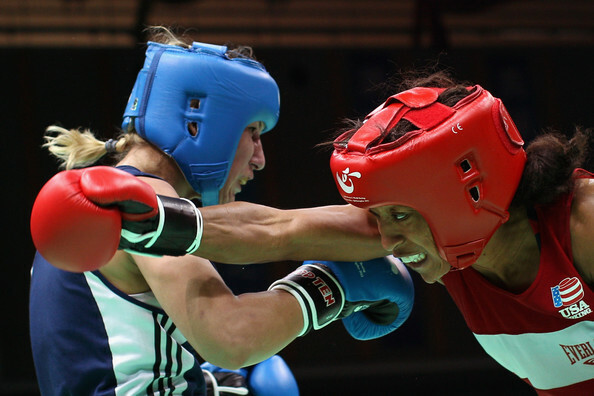 Tiara Brown (57kg) who is considered the top seed narrowly defeated China’s Jian Quin by the score of 23:22. The tightly fought contest saw Jian in control in the first two rounds, however, Brown came roaring back to win her quarterfinal match. No word yet on who she will fight in the semifinals. To round out the PM session, Mikaela Mayer (64kg), following her fantastic win yesterday by the score of 34:13, will be taking on India’s Meena Rani. In yesterday’s bout, Mayer led throughout with huge scores in the second and third rounds (10:4 & 10:3). As a reminder, in a true heartbreaker, Queen Underwood (60kg) lost her very close battle with Norway’s Ingrid Egner by the score of 26:25. Egner held a slight advantage in the first two rounds scoring 6:4 and 8:5. Queen was able to tie up the score 6:6 in the third round and came back with a fierce fourth round scoring 6:10, however, it was not enough. This is very, very tough for Queen, and she joins Claressa Shields in the waiting game for a place in the Olympics. In a couple of notes on the Lightweight division, Ingrid Egner went on to lose today to Natasha Jonas of England by the score of 32:9. 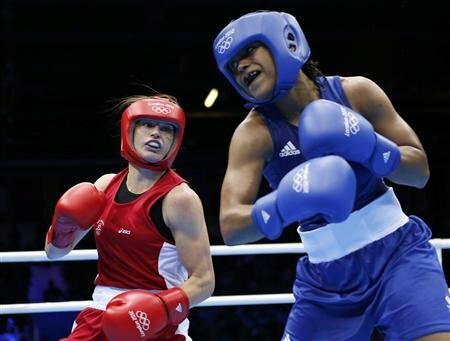 While Ireland’s Katie Taylor received a walkover against Mihaela Lacatus. For one other bit of news, Australian flyweight champion boxer, Bianca Elmir was provisionally banned due to a failed doping test from her national championship battle this past February. She was notified of the ban in China, and while her team has appealed to allow her to compete, the appeal was denied. Elmir tested positive for a banned diuretic. For more details on the issues click here. 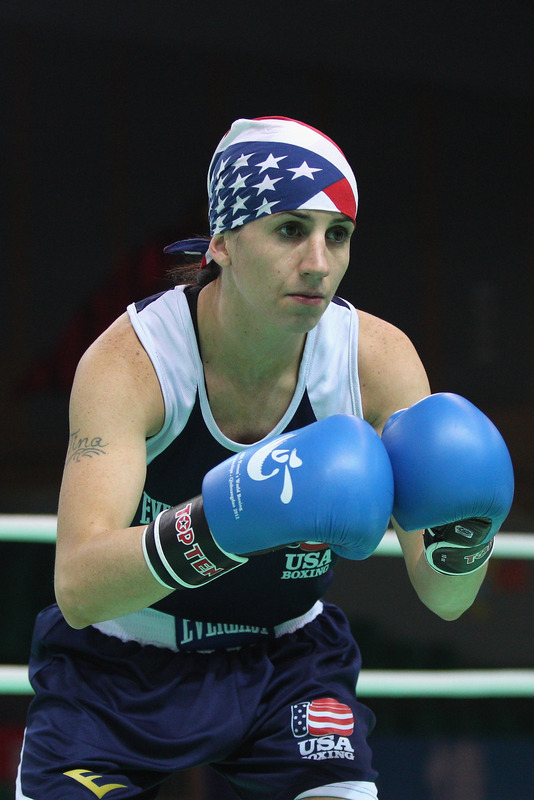 AIBA Women’s World Boxing Championships 5/15/12! 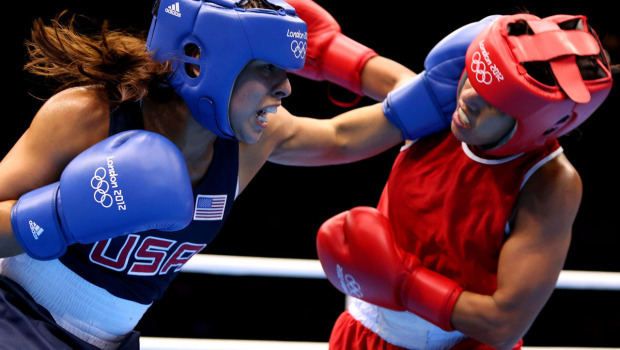 Well in early results from today’s bouts it seems that the USA Boxing team has had mixed results. For the great news, Marlen Esparza (51kg) had a decisive win over Viet Nam’s Thi Duyen Luu, taking the decision by the score of 28:13. Marlen led through out with a whopping 9:2 forth round to close out the bout. Marlen will continue to fight tomorrow in the quarter finals for the Flyweight division against China’s much ballyhooed Cancan Ren. Marlen’s win means that she is going to the Olympics!!! 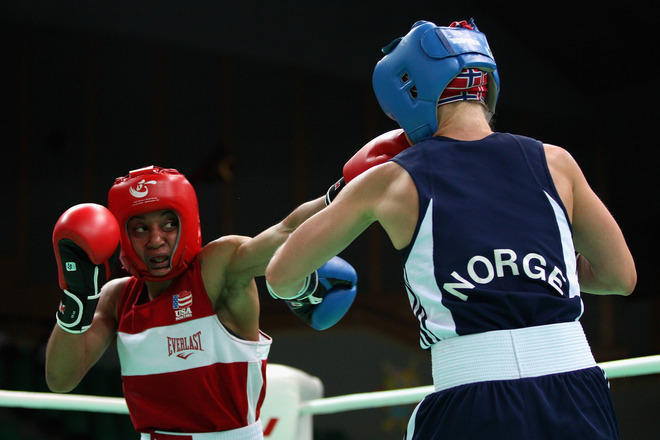 Christina Cruz (54kg) also proved victorious in her bout against Norway’s Shora Rezaie Johroni, taking the bout by the score of 14:10. Cruz kept fair control of the fight except for the third round when Johroni came back with a 7:4 round, however, Cruz was able to beat back her advance with a 5:2 forth round. The next bout for Cruz will be in the quarterfinals against Thailand’s Sopida Satumrum, on May 16th. In a true heartbreaker, Queen Underwood (60kg) has lost in a very close battle with Norway’s Ingrid Egner by the score of 26:25. Egner held a slight advantage in the first two rounds scoring 6:4 and 8:5. Queen was able to tie up the score 6:6 in the third round and came back with a fierce fourth round scoring 6:10, however, it was not enough. This is very, very tough for Queen, and she joins Claressa Shields in the waiting game for a place in the Olympics. In the second of Team USA Boxing’s defeats today, Alex Love (48kg) lost a very close bout to Kazakhstan’s Nazym Kyzaybay by the score of 20:19. The bout was very close through out and will Alex led in the first round 2:3 and tied the second 5:5, Kyzaybay was able to take the third and forth rounds scoring 7:6 and 6:5 respectively to win the bout. Set to fight in the PM session today is California’s own, Mikaela Mayer (64kg) against New Zealand’s Laura Matthews. (Results to be posted later). 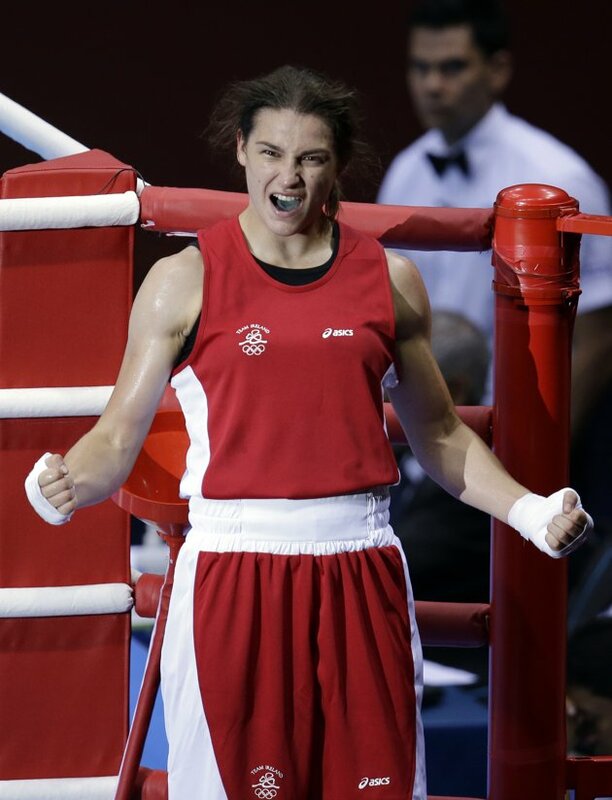 One other note in the Lightweight Division, Ireland’s Katie Taylor proved successful in her bout against Kazakhstan’s Saida Khassenova, defeating her by the score of 20:8. 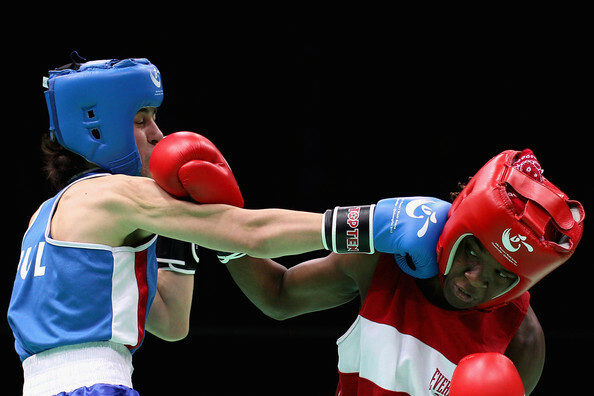 Bouts in the Olympic Flyweight, Lightweight and Middleweight divisions and non-Olympic Bantamweight, Light Flyweight, Bantamweight, and Light Welterweight divisions dominate today’s AIBA Women’s World Boxing Championships in Quinhuangdao, China.